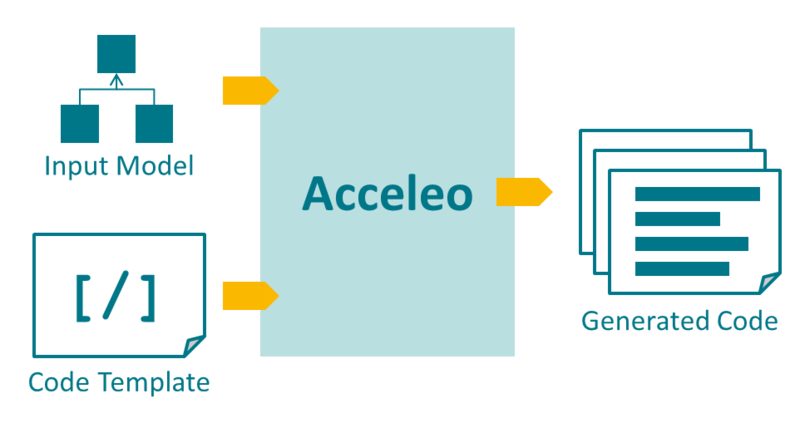 Acceleo is a template-based technology including authoring tools to create custom code generators. 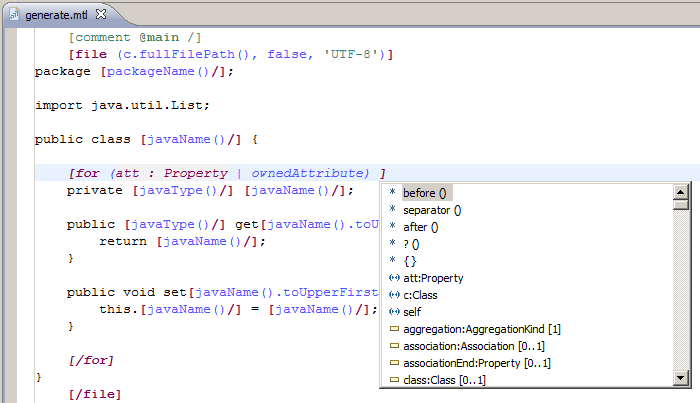 It allows you to automatically produce any kind of source code from any data source available in EMF format. A pragmatic implementation of the Object Management Group (OMG) MOF Model to Text Language (MTL) standard, Acceleo is the result of several man-years of R&D started in the Obeo company.